Looking for something unique? Try on these gold oblong earrings. These feature floral clusters and are finished with a pearl drop. 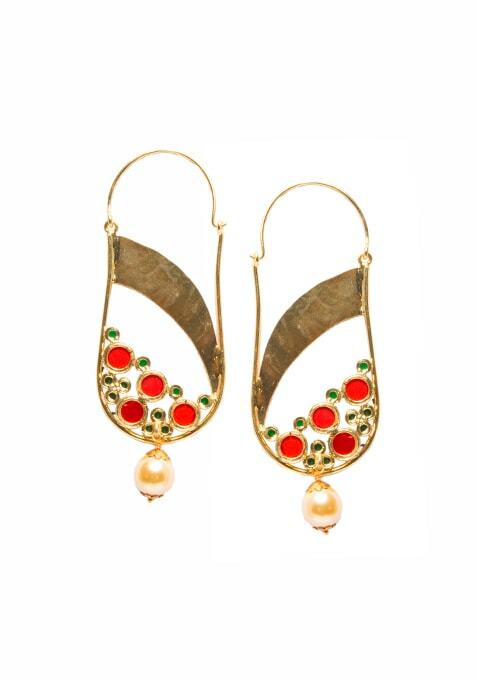 Work It: These look fabulous with a simple saree-blouse look.